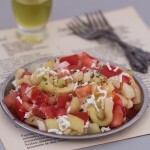 Shopska salad is a light, spring salad consisting of veggies with grated cheese on top. Perfect to take to a barbecue. 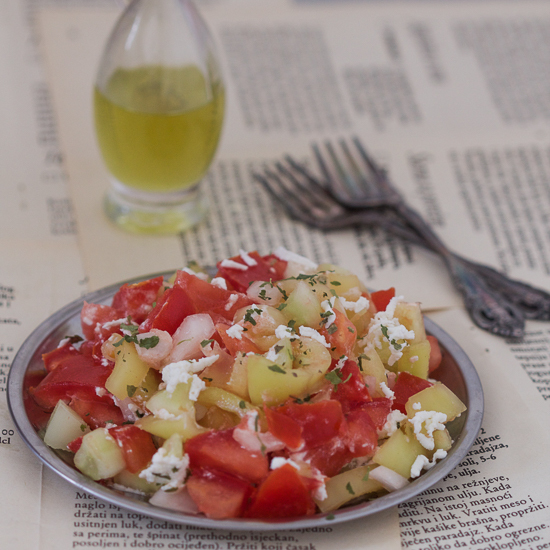 Shopska salad is similar to Greek salad. There is disagreement over who came up with it as it comes from Shopluk region populated by Bulgarians, Macedonians and Serbians. 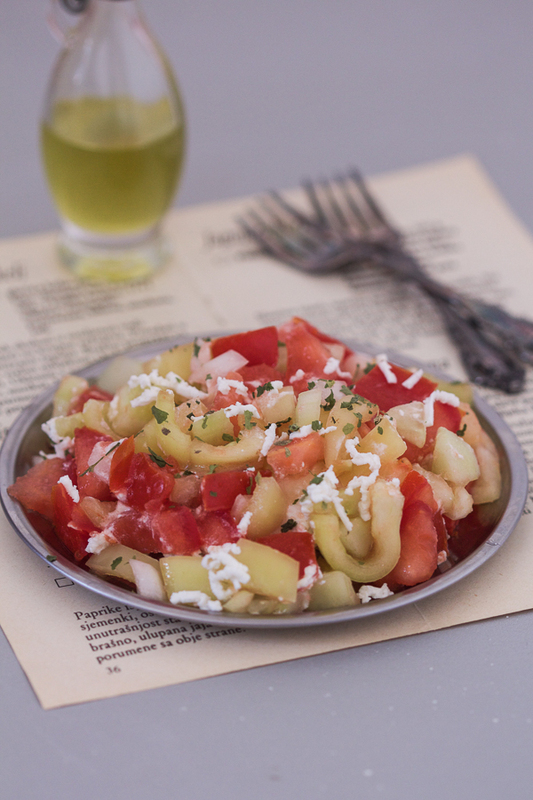 Shopska salad consists of tomatoes, cucumbers, yellow onions, light green or yellow bell peppers all diced into cubes, combined with a olive oil and vinegar vinaigrette, and finally topped with grated cheese (feta or goat cheese). As the bell peppers in the region are spicier than most, there is generally a 3:1 oil to vinegar consistency, with some people omitting vinegar completely. What I love about shopska salad is how easy it is to make. If you’ve been following this blog, you’re familiar with my inability to make salads. Pies come naturally to me. Stews and salads with practice. I’m frank because it may inspire you to make something on your own. We’ve separated from our food. Cooking can be complicated. But little things are so easy. Little by little you’ll grasp more, and before long you’ll eat better, feel better, and have a little more energy. These benefits will multiply through time. But Ramit truism can applied to salads easily. It’s better to make one salad a week for a year, than to eat salads for two months in a row and then stop completely. If you’re gonna do that, shopska salad is the way to go. Shopska goes well with barbecued meats, and a little bit of rakija. Before adding cheese to the salad it’s helpful to keep cheese in the freezer for 15-20 minutes before grating. This will assure it doesn’t melt while you’re grating it. I prefer goat cheese on shopska because it’s mild. Feta can go either way, it can be just right, or downright sour. Wash vegetables and peel the cucumbers. Dice all vegetables into small cubes, transfer to a bowl and mix. Combine olive oil and vinegar and add to the salad. Add salt, pepper and parsley and stir everything thoroughly. Top with grated cheese. 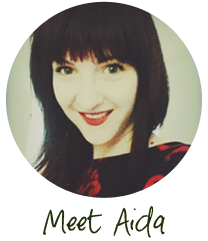 thank you for your wonderful recipes, my baba was born in kragujevac and died a couple years ago. i have been able to recreate so many heartwarming, ribsticking recipes because of your easy, hands on english recipes. 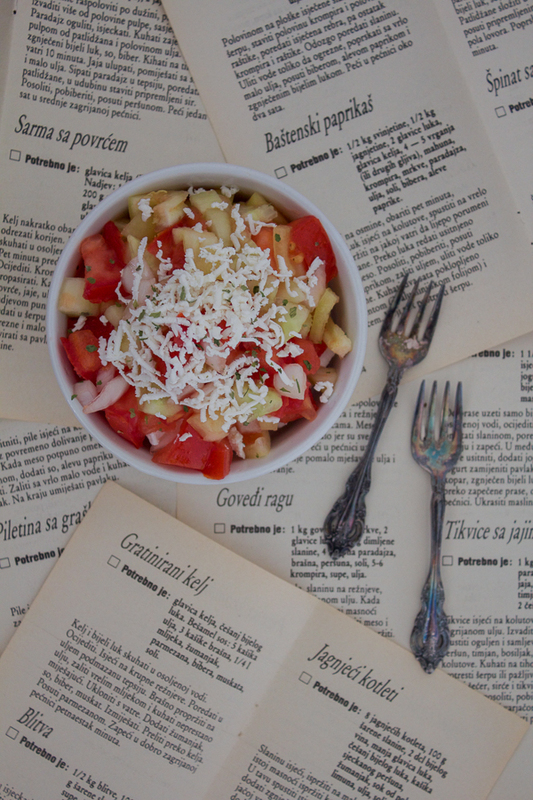 i notice in the background of your sopska salata you have loose pages to a serbian-bosnian cookbook. its in latinica and i can understand it well from what i can see, which cookbook is this? would you be able to post all of those pages, or scan and email? i will compensate if this is time consuming. please let me know. Thanks for your kind words. Glad you’re inspired to bring some flavors from your Baba’s kitchen to yours. Loose pages in question were a small cookbook that came with a magazine. I don’t have it anymore. I have some similar ones though, each focused on a different food topic. Email me at [email protected], and perhaps I can mail you some.